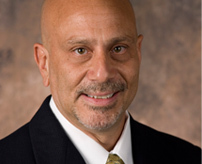 Choice Diagnostic Imaging is pleased to have Paul J. Macchi, M.D. as our medical director and chief radiologist. Dr. Macchi is a board certified neuroradiologist who has lived and practiced in the Sarasota area for over 30 years. He has extensive experience in all areas of diagnostic radiology including MRI, CT, Digital Mammography, Ultrasound and plain film radiography. Dr Macchi has an undergraduate degree from Columbia College and a M.D. degree from Columbia University College of Physicians and Surgeons in New York, NY. He completed his radiology residency at Tufts University New England Medical Center in Boston MA and then received his fellowship training in Neuroradiology at the University of Pennsylvania in Philadelphia, PA.
Dr. Macchi will be is on site daily and can be reached at our main number, 941.954.1900. James R. Chatham, Jr, M.D. James R. Chatham, Jr., M.D (Jamey) a native Floridian, attended undergraduate and medical school at the University of Florida. Following medical school Dr. Chatham was commissioned on active duty in the U.S. Army and completed his Urology residency at Tripler Army Medical Center in Honolulu, Hawaii. Subsequently he was a Urology Attending at Ft. Bliss Army Medical Center in El Paso, Texas. While in the Army, he completed several overseas tours including Panama, Korea, and deployment to Iraq for Operation Iraqi Freedom. After 11 years in the U.S. Army, Dr. Chatham returned to the University of Florida to complete his Radiology residency. Dr. Chatham is board certified in Radiology and Urology. 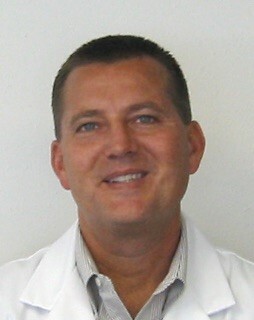 Dr. Chatham and his family moved to Bradenton in 2009. His wife grew up in Bradenton and they have two children. Dr. Chatham is an avid “Chatham children” sports fan rivaled only by the Florida Gators. The Chatham family have completed several mission trips to Haiti since 2006 and continue to do so. William Campbell “Cam” Walker, M.D. William Campbell “Cam” Walker, M.D. also provides additional on site and teleradiology interpretation for Choice Diagnostic Imaging. Dr. Walker is a board-certified radiologist with experience in all areas of diagnostic radiology including MRI, CT, Digital Mammography, Ultrasound, and Digital Radiography. Dr Walker graduated from the University of South Florida College of Medicine and completed his residency at University of South Florida Affiliated hospitals. Prior to joining Choice Diagnostic Imaging in 2009, Dr Walker was the former Chief of Radiology at Manatee Memorial Hospital. A native of Tennessee, Dr. Gerald Grubbs attended college and medical school there before going on to complete his residency at the University of Tennessee in Diagnostic Radiology. Excited at how the new field of interventional radiology was revolutionizing minimally invasive surgery, and by the benefits it held for patients, the doctor took a Fellowship in Cardiovascular and Interventional Radiology at the Miami Cardiac and Vascular Institute at the Baptist Hospital of Miami. It was there he learned the basics of many of the procedures he’s now performing. In 1993, after completing his Fellowship, Dr. Grubbs received his Board Certification in Interventional Radiology from the American Board of Radiology. The author of numerous articles and a noted lecturer, Dr. Grubbs lives with his wife and two children in Osprey.